March 2018 – Talva Design Talva D.
Inauguration of the exhibition of the winners of the call to creation, 4th Biennale du verre, Colombes. Organized by the Museum of Art and History of Colombes. On 27/3/18 19h at the conservatory of music and dance of Colombes. Followed by a concert! I hope to see you! Inauguration of the exhibition of the winners of the call to creation, 4th Biennale du verre, Colombes. 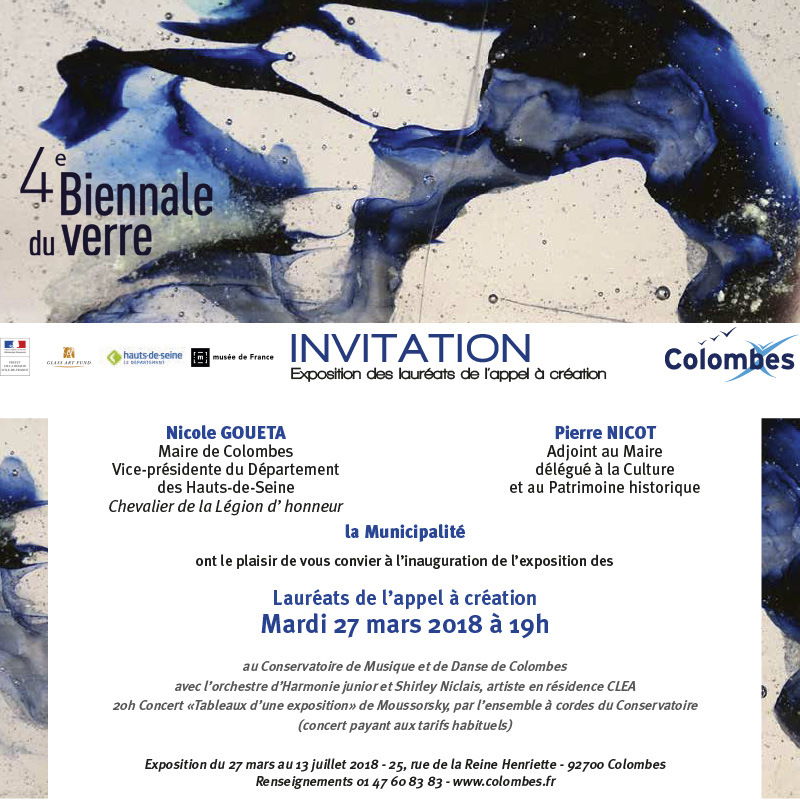 Organized by the Museum of Art and History of Colombes. 27/3/18 at 19h at the Conservatory of Music and Dance of Colombes. Followed by a concert!